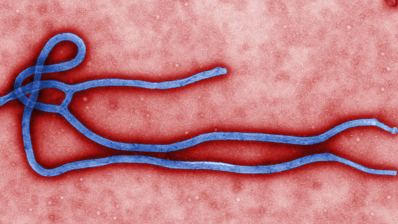 To date, there have been nearly 25,000 Ebola cases in West Africa, and the disease has claimed more than 10,000 lives. Despite these (and other) recent setbacks, transmission rates have slowed, and yesterday, Reuters reported promising headway in the effort to find an effective vaccine. Currently, 600 people are enrolled in a National Institute of Allergy and Infectious Disease (NIAID)-sponsored clinical trials of two vaccine candidates, one from GlaxoSmithKline and the other from NewLink Genetics Corp. No one participating in the trials has been intentionally exposed to the virus to determine the vaccines' efficacy. Instead, researchers are looking at participants' immune responses to gauge whether the drugs work. Yesterday, NIH declared that both medicines appear to be safe, which means that they will progress to the next phase of efficacy testing. The two companies hope to enroll a total of 1500 trial participants and they continue to monitor results for a year. You can read more Up at 5AM posts about Ebola here.